Looking for shelter? Welcome to The Magnificent Dunbar Hotel. Come with us back to the 30s and 40s on Central Avenue in L.A., where jazz was the music of the day. Sunshine and palm trees, cruising on Central Avenue with ease, where The Duke, The Count, Dorothy Dandridge, Lena Horne performed your favorite songs, and intellectuals debated the politics going on, and where everyday folk felt right at home. Where was this place you might ask, this place to be, that had all that pizzazz, all that jazz? Well, do tell, do tell. 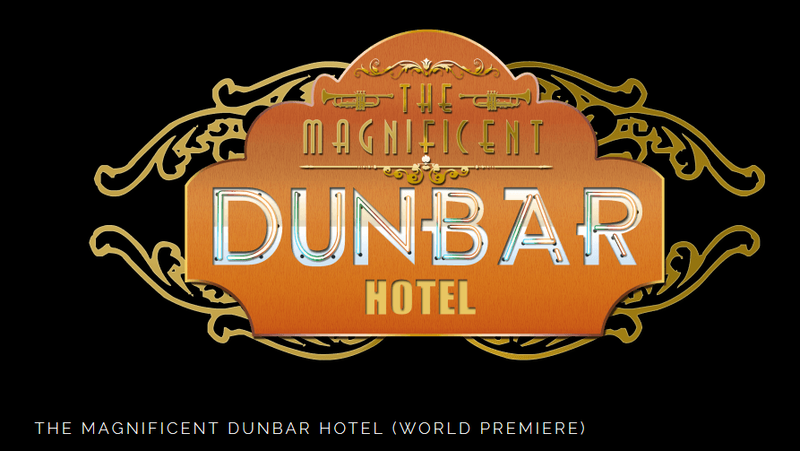 Come with us back to The Magnificent Dunbar Hotel!!! Special Thanksgiving Offer: “Dessert at the Dunbar,” join us for our Thanksgiving night performance and enjoy complementary coffee and pie at intermission.